Are you ready, beer fans? There&apos;s something brewing in Raleigh, N.C.! April is Beer Month in Raleigh, and there area&apos;s 25+ breweries (plus bottle shops and craft brew restaurants) invite you to join in on the month-long celebration with festivals, events, special beer releases, beer dinners, brewery tours and more—all in celebration of the fifth annual N.C. Beer Month. Driven by off-the-charts demand for quality, handcrafted beer, Raleigh&apos;s passionate entrepreneurs have answered the bell and built one of the most hopping beer scenes around, perfect for visitors and residents to come together and raise a glass to one of our favorite months of the year. Jumping right into it, the fourth annual Casks on Fools (4/1) is a day-long N.C. Beer Month kick-off party at Crank Arm Brewing featuring unique casks from more than 20 breweries across the state (think mango habanero IPAs, chocolate cream stouts, Irish stouts with cherries and way more). Over in Cary, the second annual Mid-Town Square Spring Festival (4/1) brings friends and neighbors together for a family-friendly event, jam-packed with live music, special beer releases, local food trucks and more on-site at Bond Brothers Beer Company (recently voted the best new brewery in the country!). Also wasting no time in celebrating Beer Month is World Beer Festival Raleigh (4/1), which is all about BIG—big venue, big crowds and big tastes. 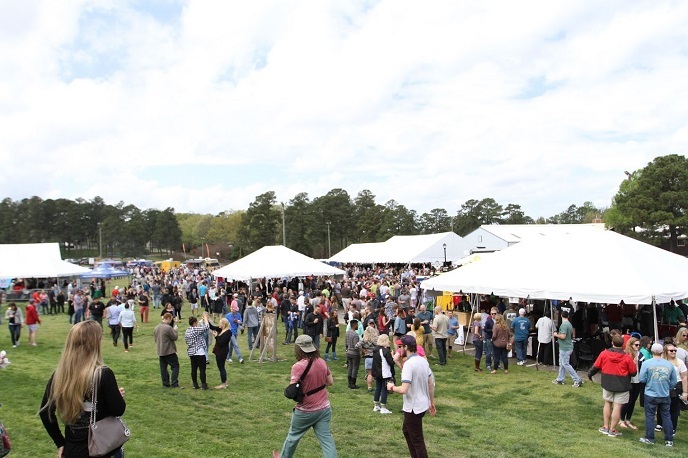 Festival-goers get the chance to sample from more than 250 craft and specialty beers from around the world, plus get to experience a N.C. Beer Garden and a Cider Garden that has more than 20 gluten-free cider options on hand. A busy month continues with a trio of our favorite events—Beer and Bacon Fest (4/8) returns to Koka Booth Amphitheatre with more than 75 international beers on hand plus more than two tons of gourmet bacon; North Carolina &apos;Cuegrass Festival (4/15) sets up shop outside The Pit in downtown Raleigh with a fun-filled day of barbecue, local brews and toe-tapping bluegrass music; and Brewgaloo (4/21-22)—N.C.&apos;s largest craft beer festival—takes over downtown Raleigh for two days with more than 90 breweries, 50 food trucks and local vendors. Don&apos;t miss out! For a full calendar of Beer Month events in Raleigh, bookmark our calendar here. 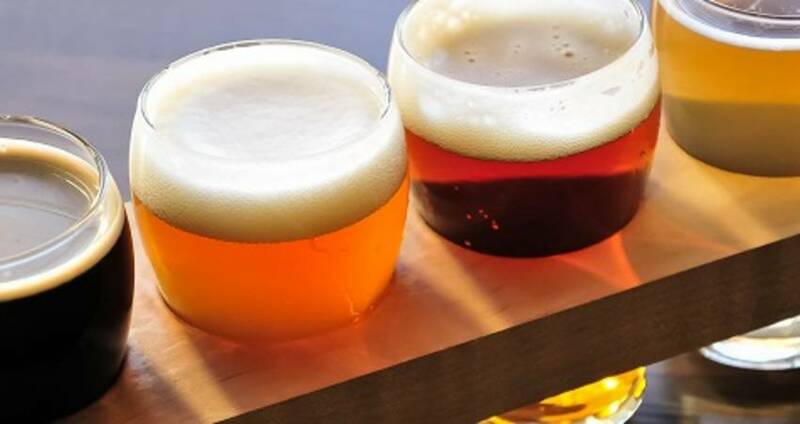 To read up on more exciting reasons to celebrate Beer Month in the City of Oaks, read our top 10 reasons to raise a glass in Raleigh. Need your monthly dose of live music? 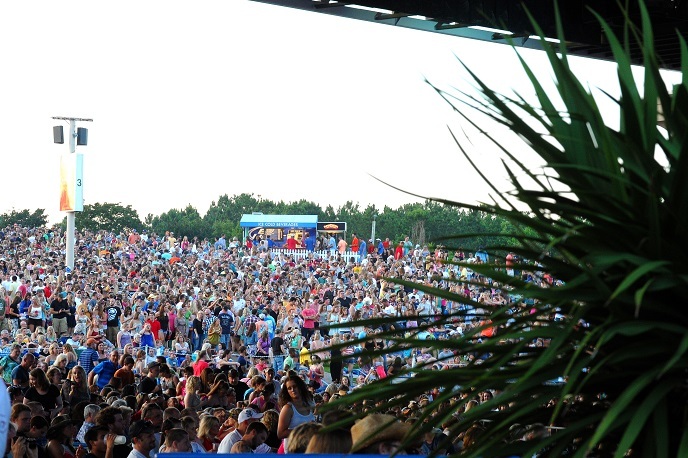 Raleigh, with the most live music in N.C., is heating up in April with outdoor music venues ready to rock and welcome back jazzed-up music fans. A free concert kicks things off following the Humana Rock &apos;n&apos; Roll Raleigh Marathon and 1/2 Marathon (4/2), where alt-rock band Cracker will headline and local-favorite Jason Adamo Band will close things out at Red Hat Amphitheater; Live & Local: Spring Fest (4/8) will have an all-day music lineup headlined by Chatham County Line, plus plenty of vendors (including local beers) on hand; Midtown Music Fest (4/29) is a family-friendly, free day of music by artists from the Carolinas; and Poison (4/28) opens up another big season of outdoor shows at Coastal Credit Union Music Park at Walnut Creek. Other big name acts in April include Red Hot Chili Peppers (4/15), Big Sean (4/16), Sarah Jarosz (4/21), Hunter Hayes (4/28) and more. So. Much. Music! See the full calendar at themostnc.com, sponsored by Pepsi. 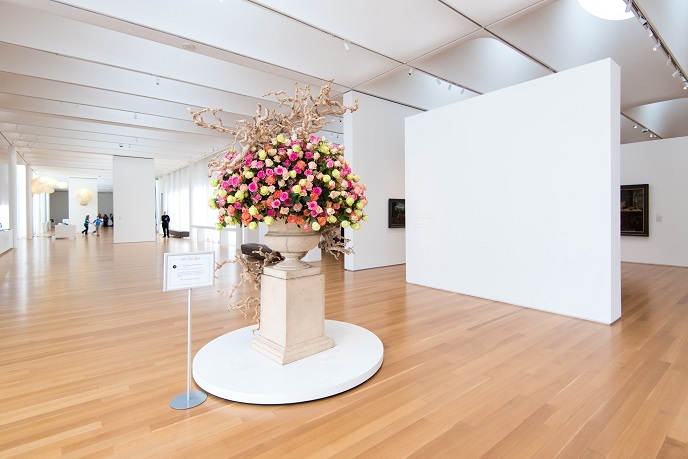 Explore more than 50 floral masterpieces at the North Carolina Museum of Art, inspired by the museum&apos;s permanent collection and created by world-class floral designers at Art in Bloom (3/30-4/2). A ribbon cutting featuring historians, interpreters, reenactors and more will open the North Carolina Museum of History exhibit North Carolina and World War 1 (4/8; exhibit runs 4/8/17-1/6/19). A day filled with delicious Lebanese food, wine, dancing, children&apos;s activities and more is lined up for the 19th Annual Lebanese Festival (4/8) in downtown Raleigh. The 8th annual Eurobike Raleigh (4/8-9) hosts the Southeast&apos;s largest gathering of Euro-inspired motorcycles, along with music, food and more (family-friendly!). Raleigh Little Theatre&apos;s production of James and the Giant Peach (4/21-30), from the book by Ronald Dahl and dramatized by Richard R. George, will delight audiences. The exhibition Race: Are We So Different? (4/22-10/22) at the North Carolina Museum of Natural Sciences will look at race through the lens of science, history and personal experiences to promote a better understanding of human variation. North Carolina Courage make their debut as part of the National Women&apos;s Soccer League in Cary in April! They&apos;ll take the pitch against Portland Thorns FC (4/22) and Orlando Pride (4/29). View the Courage schedule here. A Cary tradition for 24 years, Spring Daze Arts and Crafts Festival (4/29) features more than 170 N.C. artists, plus entertainment and plenty of food vendors. Need more ways to explore during this beautiful time of year? Check out our spring bucket list, featuring 30 hand-picked experiences unique to Raleigh, and also view a full calendar of events here.